🌴WITH US ARRIVE ANY DAY OF THE WEEK AND STAY 7 NIGHTS! 10 NIGHTS! 20 NIGHTS! ***WE have the BEST Cancelation Policy*** All monies will be refunded if you need to cancel 14 days prior to your arrival date. If you have to cancel under the 14 days only 2 days will be forfeited. !!! !Please see our rental agreement for Holiday dates cancelation Policy!!! SLEEPS 6 adults Max . 2 very small children extra will be okay. Has only 2 king beds and 1 sofa sleeper. Why Book with Us? We have been booking the Westin Villas since they opened 2003 and the Nanea 2017. We know the WESTIN *Read our Reviews! WE When booking with us you will be assured you get the long awaited vacation you have tirelessly planned for. No need for a vacation from booking your vacation! **ARRIVE ANY DAY OF THE WEEK!! ** THERE ARE NO TIMESHARE PRESENTATIONS TO RECEIVE OUR LOW RATES! STAY AS LONG AS YOU LIKE AND STAY IN THE SAME VILLA. NO MOVE TO A DIFFERENT VILLA IN-BETWEEN YOUR STAY! STAY 7 NIGHTS TO 20 NIGHTS. SAME RATE IF DATES ARE AVAILABLE. SEE all OUR listings here The Westin Nanea and The Westin Ka'anapali Ocean Resort Villas *Directly next door to each other* WE have All Size Units!
! !WHY BOOK WITH US YOU MIGHT ASK? WE HAVE BEEN BOOKING THE WESTIN NANEA OCEAN VILLAS SINCE THE DAY THEY OPENED 2017! THE WESTIN KAANAPALI OCEAN RESORT VILLAS NEXT DOOR SINCE 2003. LOWEST RATES! WE HAVE FREE PARKING-WESTIN CHARGES NOW $15 A DAY PLUS TAX. WE HAVE FREE DAILY HOUSEKEEPING! EMAIL US 24/7 (365.) FOR ANY INFORMATION WE CAN HELP YOU WITH. WE ARE HERE TO HELP YOU BEFORE YOU ARRIVE IN MAUI AND HELP YOU DURING YOUR STAY! IF YOU DO BOOK WITH US AND WE TRULY HOPE YOU DO, IF YOU WILL BE USING AN OUT OF COUNTRY CREDIT CARD FOR PAYMENT THERE IS A 2% ADDITIONAL INTERNATIONAL TRANSACTION FEE THAT YOU WILL BE INVOICED FOR SEPARATELY VIA VRBO/HOMEAWAY. Check out our cancellation policy! 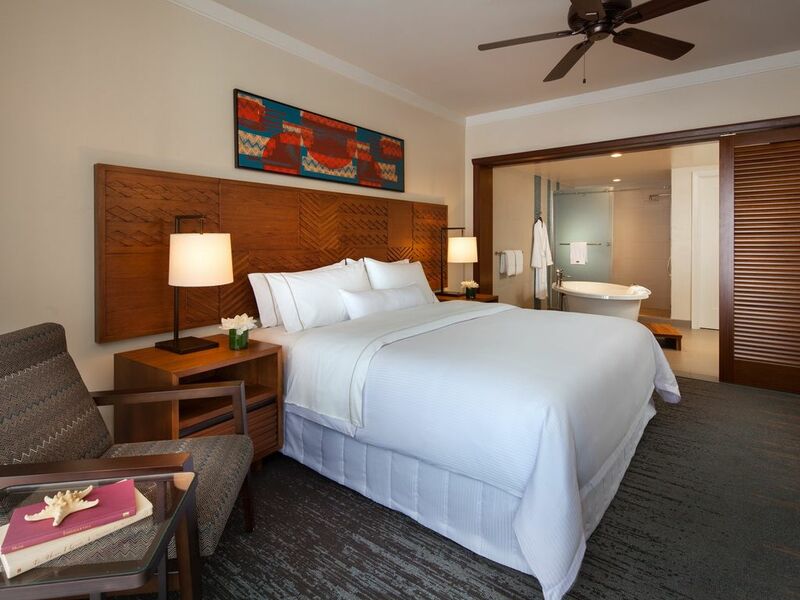 The best - We have been booking the Westin NANEA since 2017 (the year they opened.) We have the lowest rates possible. We only have one mission and one goal and that is for you to have the best vacation ever! WE will help you before you arrive here on Maui when you arrive here to the day you have to go home. We are on call 24/7 *365 days of the year.. If we become sold out in this listing-see all of our listings below! Try changing your dates if possible, some days will show up higher priced for that night as we have run out of owners offering the lowest rates possible. Still the best deal out there! YOU will never have to move from your villa during your stay, you will always stay in the same unit. Our guests may arrive any day of the week and stay for 7 nights or longer and receive these fantastic rates. It DOES not matter what day you arrive either. You may arrive any day of the WEEK! Never a Friday or Saturday arrival only. High-end resort/hotel amenities & the luxury of home come together at last! Magic will happen at Westin, Step into Paradise & Wake up where Heaven meets Earth. 1.) Flawless booking experience with a very easy check-in right at the Front Desk of the Westin NANEA Villas. 2.) NO ADDITIONAL FEES/HIDDEN RESERVATION FEES. FREE PARKING & FREE DAILY HOUSEKEEPING. Also, you are never required to sit through any timeshare presentations! 3.) WE HAVE AN EXCELLENT CANCELLATION POLICY! Our guests have 14 days prior to their arrival date to cancel for a Full Refund! Christmas dates you have 30 days prior to arrival to cancel for a full refund! 4.) You can be confident that your villa is cleaned and maintained to Westin’s 4/5 Star standards and fully equipped with designer furnishings and luxurious hotel amenities. You may cancel, without any penalties, 14-days prior to your arrival date and receive the full refund to your credit card under 14 nights there is a 2-night reg nightly rate you will forfeit. Christmas Reservations: (30-Days) Are subject to the same policy as above with the only difference being a minimum of, '30-days prior to the arrival date' with no penalties to receive the full refund. If under 30 days you will lose 4 nights @ reg nightly rate. If you do not show for your reservation all monies are forfeited .. Please read the Rental agreement. Sitting upon 16 magnificent Oceanfront acres with numerous outdoor activities help you enjoy our beautiful surroundings during the day. The gentle breeze in the evening with the soothing sounds of the ocean will create the most relaxing and peaceful nights! Each and every detail of these unique residences reflects the distinctive standards of Westin, surrounding you with immeasurable comforts and a true sense of Hawaiian grace and hospitality. Quality detailing and amenities abound- Including top designer furnishings throughout, tile with Berber carpet, full-size kitchen and equipped with all needed appliances. To name a few; Dishwasher, Washer, and Dryer. All toiletries; bath soaps, lotions, shampoo & conditioner, laundry detergent and even dryer sheets are provided daily) Flat Screen SMART TV/DVD in Living Room and bedroom. The Westin's own famous trademarked Heavenly King bed and linens. Pamper yourself every evening with the luxurious Heavenly Baths, including; a very large shower with a separate whirlpool-Jetted tub. Beyond the thoughtfully detailed and exceedingly comfortable Villas themselves, you will also enjoy a full complement of amenities with a 4/5-Diamond resort service! In addition, the amenities of The Westin Ka'anapali Ocean Resort Villas for both North and South Tower are available for use. Resort amenities are subject to change. State of the Art BBQ'S with tables and chairs scattered throughout the property for your enjoyment and meaningful sunset dinner! In-Room Built-in safe provides an added measure of security to set your mind at ease-free of charge. FREE "Full" daily housekeeping service & FREE parking. FREE Westin shuttle (guests only). Shuttle leaves every 15-20 minutes and takes you down to some great shopping areas and all the way to Lahaina Towne. WE have been booking the Westin Villas since the day they opened, We have the lowest rates possible. We only have one mission and one goal and that is for you to have the best vacation ever! WE will help you before you arrive here on Maui, when you arrive here and to the day you have to go home. We are on call 24/7 *365 days of the year.. We are the wholesaler representing the great owners of the Westin Nanea Ocean Villas and the Westin Kaanapali Ocean Resort Villas directly next door. !! !The best rates out there!! Free parking for our guests only! (Westin does charge now) Free full daily housekeeping! Free baby supplies from Cribs to Highchairs and more.. "There is not a timeshare presentation to get our low rates"
Had a nice time, only setback for our group that was disappointing was the lack of seating at the pool for adults. Rooms are very nice, fast elevators, car garage with quick access, staff was friendly and helpful, hotel restaurants and shops were all very nice as well! Fantastic, wonderful layout for a family. The elevators are the fastest we have ever had! Mahalo for your great review! That was the first time we have heard about the elevators being so FAST....guests enjoy the small things too. When your ready to come back, please give us a call anytime. Have a great New Year. Great accommodations. Very kid friendly. Great reef at resort beach to snorkel on. We are very happy you enjoyed your stay! Call us when you have Maui Fever! We had a wonderful stay at the Nanea. * Rooms were nice size and living area was spacious. The kitchen island / counter was convenient. * Master bathroom and tub is exceptional. * Beds are crazy comfortable. Truly heavenly! * Shower was convenient and awesome, though there is some plastic coming off in the master one that makes it so the door doesn’t close all the way. * Photos on the site don’t show you what your view from the patio is.. which is essentially the pond and some side pools. I thought we would be able to see the main pool and maybe some ocean but no. * There are no spices or accompaniments to cook with. No olive oil, salt, a few packets of pepper but nothing really to cook with - though there are pots, pans and spatulas. I have rented units where they were stocked a lot more. Maybe this is a Westin thing though I thought it was strange to have a few packets of pepper but no salt or sugar. * Cleaning service came every day, but did not clean the toilets for the first 4 days! I had to ask them specifically to and they said, “Oh someone complained about that, you must be them” I was not. Which means other people’s toilets didn’t get cleaned either. * Rooms have two king beds. No way to split one king into two fulls. For kids, this isn’t ideal but we worked through it. Again maybe a Westin thing? All that being said we hadn’t a great time and enjoyed the unit a lot. Would love to go back, potentially at a lower cost given the challenges above. We didn’t get any kind of resort credit which I saw they were offering to others. Mahalo for your review. Unfortunately, the Westin does not leave any perishables inside the Villas for guests for health safety. The Westin Nanea does not offer 2 double beds they have a king in each bedroom with a sofa sleeper which is stated in the listing. We do not have any control over what you will be looking at as you are assigned your villa on the day of arrival, this is for any type of reservation made through the Westin. It sounds like you had a wonderful time! We truly look forward to seeing you again soon! Beautiful home away from home. Relaxing and very clean. Staff is very friendly. They even shine their sidewalks late at night! Loved our stay!